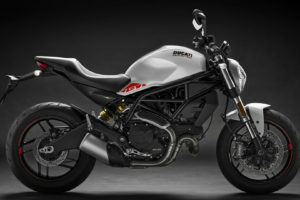 Triumph Motorcycles America, LTD has recalled certain 2019 Speed Twin motorcycles. The issue pertains to the improper routing of the coolant hose. Improper routing may cause the hose to come into contact with the exhaust header pipe. This could damage the hose and result in a coolant leak near the rear tire. Triumph will notify affected owners and owners should bring affected motorcycles to a dealer. Dealers will inspect the hose and reroute it if necessary. Dealers will perform work free of charge. The recall began at the beginning of April 2019. Owners may contact Triumph customer service at 1-678-854-2010 and reference recall number SRAN536. Owners may also the National Highway Traffic Safety Administration (NHTSA) Vehicle Safety Hotline at 1-888-327-4236 citing NHTSA campaign number 19V167000. Information may also be found on NHTSA’s website.